In today’s world, you have likely realized that social media has become ingrained in people’s everyday life. Your company can also combine these social tools into your marketing and trade show strategy to build customer relations, boost brand awareness, and ascertain new leads. Social media is a new medium for your business to reach out to the public, the likes of which we have never seen in history until now. Finding ways to adapt your marketing and trade show booth design strategy into social media takes some understanding of how these platforms work. The internet has evolved to the point where everyone has access to it. Social media represents numerous platforms on the web where people from all over the world can communicate at the speed of light. These sites include Facebook, Twitter, Blogs, and so on. Your company can also use these platforms to reach out to your customer base or to bring in new customers online or at a tradeshow displays. The first step to combine social media with your marketing or trade show strategy involves understanding your goals. For some, these goals may be to raise brand awareness, to find new leads, to build customer relationships, or a combination of each. Once you know your goals, taking them to social media is a sure-fire way to help you achieve them. Find new leads – If your company’s strategy involves signing on new clients, then social media will be a great asset. By going online, your company can create articles and posts with search engine optimized keywords to attract your target audience. You can also engage people in chat and explain the benefits of signing on to your company or visiting your trade show events. Raise Brand Awareness – This is an essential goal for your business. The more people that know about your brand, the more sales you will have. By using social media, you can promote your brand or trade show on social sites by offering promotions and sales on your products, but also by creating content that advertises why your products are essential. Building Customer Relations – Social platforms allow you to build customer relations on a grand scale. It allows your company to reach out to your customers in a public way, either by offering advice, tips, or discounts and promotions. Each platform allows you to remain in contact with large chunks of your customer base so you can hear their thoughts and adapt your strategy accordingly. Since there are so many social media platforms at your disposal, you may ask yourself which ones fit your marketing and trade show strategy? The answer depends on your type of company. You likely know if you are marketing yourself to a wide demographic of people or to younger or older crowds. Each platform is different, so choosing the right one takes careful research. Facebook – Most companies choose this as a primary social platform because of its diverse and widespread user base. If your company is looking to reach out to a large demographic, then Facebook is the best choice. With over one billion users, Facebook is the giant of the social networking world. Twitter – Your company can profit greatly from a website like Twitter. Though it is considered a minimalist blogging platform, Twitter is a great place to communicate with your current and future customer base. Whether it is answering questions, sharing links to your products, or releasing announcements about your company. Reddit – This platform is popular amongst older teens and college-aged students. Many tech companies use this social site to stay in touch with their userbase. If your target audience falls within that range, Reddit is a great way to promote and stay in touch with your customers. Snapchat, Instagram, Pinterest – These sites tend to have the youngest of users. 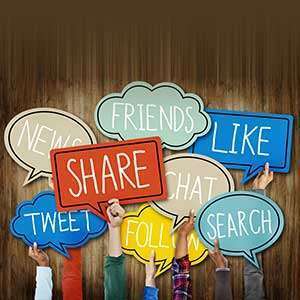 If your company is marketing to younger people, from teens to adults, these social media platforms are an ideal place for you to reach out to new customers. Social media platforms host an expansive number of users. By taking your company online, you have the opportunity to connect with thousands of new potential customers. You also have the ability to stay in communication with your current customers, hear their thoughts, and discover what parts of your marketing and trade show strategy need the most improvement. In today’s world, it only makes sense to incorporate social media into your company’s goals.